Made entirely of plaster and painted a soft peach color with dazzling gold accents, this baldachino is a sight to behold! Originally used as a freestanding altar canopy in Minneapolis' oldest church, this fixture follows a classic form. The domed roof, supported by entablatures, rests upon four columns with a slight convex curve. 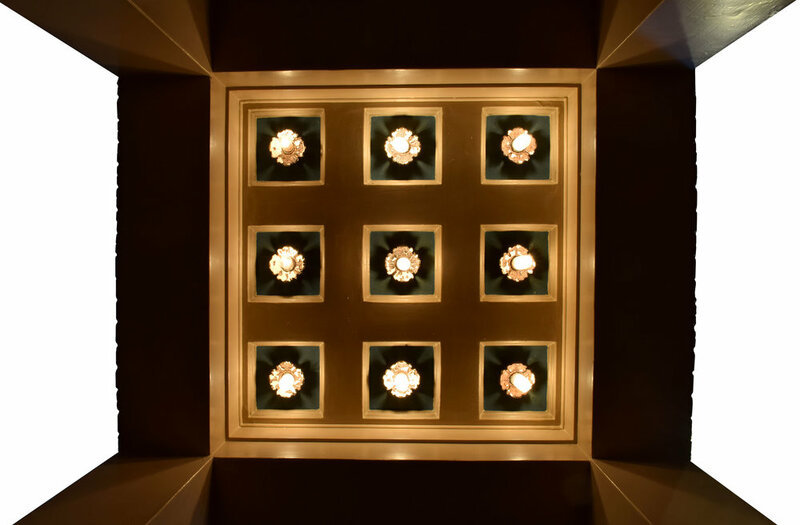 Nine tiny lights, recessed into a coffered ceiling, illuminate the interior, adding a subtle warm glow. This is an incredible, one of a kind piece, and is sure to stop people in their tracks as they gaze upon its many complexities.